In the world of SEO, the most valuable asset that you can ever have is the ability to test and experiment. Like a mad scientist, an SEO must put his or her knowledge to the test by running different tactics and strategies for actual sites and measure the results they produce. The benefit is in the actual process of experimentation – it can validate or debunk their hypotheses and help them determine the best SEO practices moving forward. 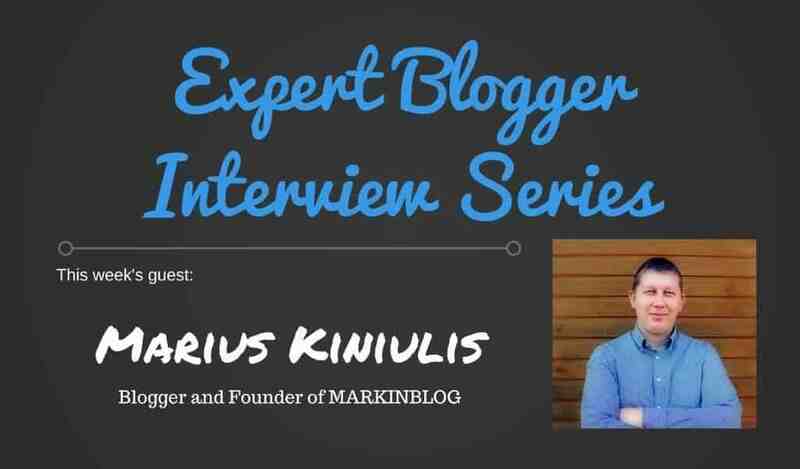 A digital marketing manager at day, Marius Kiniulis moonlights as an SEO blogger at MARKINBLOG during his spare time. He uses his blog to deliver stellar content by way of playing around with the different SEO tactics to achieve optimal results. His sheer tenacity and passion for SEO and blogging deserve attention. In my own way, I’d like to shed light on Marius and his work through my interview with him. 4. Any horror client stories you’d like to share with us and how you dealt with the situation? 5. Which blog post you have written that you feel the proudest? 8. List down the blogging tools that you use and explain why people should use them for their own blogs. Actually, I had few blogs and various websites some time ago. But what concerns MARKINBLOG.com, about 1,5 years ago I felt that I’m missing on a lot of new things to learn when working as a full-time SEO specialist. My main focus was SEO, but I wanted to get a deeper understanding in email, content, affiliate marketing, social media and other traffic generations techniques. So, I decided that a personal blog about online marketing is just what I need. I was an SEO specialist at a gambling company. Honestly, I’m still working as a full-time employee. The biggest obstacle was how to write well in English when my language skills are not perfect. I solved this issue by hiring a native English speaker who proofreads my articles before getting them published. Thankfully I haven’t had any of these yet. This post came up because of a personal need. You see, I love reading books, but I found quite challenging to find books that would be worthy of my time investment. And one day I thought to myself how great it would be to know what other entrepreneurs are reading. 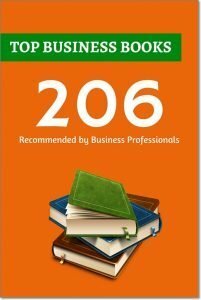 I reach out to 300 online entrepreneurs asking them about their 3 top business related books that they would feel totally confident recommending to others. And I have received answers from 97 people who have suggested me 200+ different books to read. All this converted into a massive list of books which I’m really proud of now. This is an exclusively huge guide (17,000 words) with all the best blog post promotion strategies and ideas. It took me about 6 months to write, but it was totally worth it. I’m using it myself when promoting new posts as a cheat sheet. I’m a big fan of Brian Dean, Matthew Barby and Robbie Richards. They produce great content in our niche and I think everyone should follow them. I’m not positioning as an online marketing guru. As I said earlier – my main goal is to test and learn new things. Then I’m just giving all my best information that I’ve learned to my blog readers. MailerLite – Believe me or not, it’s probably one of the cheapest email marketing tools in the whole email marketing industry, but their usability and features they provide for that price are just insane. Ninja Outreach (affiliate) – One of my main and most successful traffic channels is blogger outreach. And I just don’t imagine how I could live without this tool. It’s just amazing tool which saves me a lot of time. My blog is quite new and I’m not quite sure, what I could call a success here. It helped me to learn a lot about how content marketing works and connect with a lot of amazing people. One thing that I see is that noise on the internet is growing especially fast in recent years. So, it will be harder and harder to stand out. If to compare that noise now and 3-5 years ago – the difference is insane. So we all have to look for new opportunities on how to stand out. Be consistent and never give up!